The biggest risk to global economic growth is not a trade war or excessive Chinese debt: it’s the US economy, says Matthew Hoffer, managing partner at Swiss advisory firm Spire Strategy. A few months ago, towards the end of the third quarter of 2018, I spoke at the first ever summit on corporate restructuring to be held in Dubai. That it was felt necessary to host such a summit tells us a lot as to the challenges that companies active beyond headline economies are facing navigating the global economy today. 2018 delivered mixed news: on the one hand, headline figures from the world’s biggest economy, the United States, were positive. Nominal growth came in at an annualised rate of 3.4% for the fourth quarter and unemployment is beneath 4% (adding a further 312,000 jobs in December), figures repeatedly praised both by President Donald Trump as well as many of the leading corporate and banking executives. On the other hand, equity markets have witnessed a return of volatility, with investors facing large uncertainties going into 2019. The S&P 500 ended 7.7% down, credit spreads have widened, short-term treasury yields are rising and commodity prices have softened. Digesting this information could lead corporate decision makers to make potentially costly miscalculations. This is because, by pricing these realities into their scenarios and models, they are pricing the wrong risks, which can lead to incorrect assumptions when formulating strategy. For example, we have personally heard many CEOs and chief strategy officers privately and publicly say that their corporate strategy has been based on assumptions that include a strongly performing US economy and a continuation of global risks that have spooked markets, such as US-Chinese trade tensions, the ending of central bank quantitative easing programmes and falls in market sentiment (ie, driven by concerns over corporate performance, particularly falls in revenue in key product segments) denting stock prices. We believe this could lead to potentially costly miscalculations because it is not pricing in the biggest risk to global growth, namely, the trajectory of the US economy. A little over a year ago, President Trump launched his fiscal stimulus, with tax cuts at the centre. This has boosted asset prices and economic growth, adding as much as 1%. What then, is the concern? Economist Nouriel Roubini states the problem with slightly more panache: “to believe you can grow your way out of a deficit is pure voodoo economics”. Let’s examine both asset prices and the real economy to understand what is going on in this “seventh inning”. With respect to asset prices, quite simply, global assets are hugely inflated relative to underlying value, and therefore overpriced: public equities are at record prices due to quantitative easing; private equity is too crowded and trades are therefore too expensive; real estate and credit have also become too expensive due to excessive demand, particularly high-yield credit as a result of excessive leverage in the corporate sector and government bonds (where yields are still relatively low). This all means that valuations are expensive and corporates highly leveraged at precisely the moment when global monetary policy is beginning to tighten, short term rates normalised and liquidity reduced. As the FT has outlined: “Massive sales of company debt has been a defining feature since the financial crisis was followed by central bank suppression of bond yields. This has left a troubling legacy and helps explain why policymakers are going to be very patient and mindful of market turmoil in 2019.“ For these reasons, we believe the recent correction will be a blip compared to how markets will react at the point when the stimulus package begins running out of steam. With respect to the real economy, the US deficit is expected to breach US$1 trillion in 2019 and will continue to add US$1 trillion to its deficit every year for the foreseeable future. For the first time, US public debt has breached US$21 trillion. While cutting taxes does equate to a short term rise in growth, in this case, growth will be minimal: economists expect this stimulus to aggregate at no more than 0.1% over the next 10 years. Adding to this will be a fiscal drag over the longer term. Such a drag can only be contained by raising taxes on the household sector, which will start in 2020, precisely at the moment when Trump’s fiscal stimulus runs out. In other words, the US economy is growing today at 3% rather than 2% because it has received an artificial shot in the arm of yet more debt. This stimulus will necessarily become a small drag in 2020, by when growth could even fall below 2%. What makes Trump’s stimulus package unprecedented is that it was enacted (1) during peace time; (2) during a period of economic growth; and (3) at the end of a credit cycle. This has never happened before. For these reasons, the next debt crisis won’t just affect debt, it will affect pension obligations, healthcare and other unfunded obligations. Of particular worry is the lack of weaponry in the central bank arsenal when the next crisis hits, given that monetary policy has been exhausted from fighting the last crisis. In this context, the last thing the world needs is a dollar crisis and a faltering US economy (one that could even fall into recession), due to misplaced policies today that will have served no other affect than increasing the paper wealth of US asset-owners. What can enterprise leaders can do in response? It may be a cliché to say that this almost entirely depends on the specific context (financials, industry, US exposure, etc), but clearly a downturn in the US will negatively affect almost all aspects of the global economy. At a generic level, a good start for leadership teams developing corporate strategy would be to price in the risk of slowing growth in the global economy, based not on headline factors such as trade wars (important though they are), but based primarily on deep headwinds to the world’s biggest economy. This can be followed up by ensuring the right economic forecasting models are in place or building new ones if they are not. As a second step, leadership teams can also build multiple effects-based models into forecasting scenarios to understand what will happen to supply chains, procurement, customer orders and currency volatility, among others, at the point when a slowdown in the US economy and a potential dollar crisis does negatively knock on to the rest of the world. For teams formulating investment strategy, pricing in extended volatility in bond markets and currencies as quantative easing ends would appear sensible, as it would be to expect the recent correction to extend into a bear market (Morgan Stanley calculated that 21 asset classes are negative for 2018 in real terms), particularly due to extended uncertainty around key upcoming political events. Finally, trading volatility of course can also uncover underpriced assets for those searching for bargains – emerging Asia and UK equities are trading at significant discounts, for instance. In conclusion, the US is risking its “exorbitant privilege” – having the world’s reserve currency – by borrowing too much. A dollar crisis could start with foreign holders of US Treasuries selling due to the depreciating level of the dollar, which in turn could cause further depreciation, even by as much as 30%. 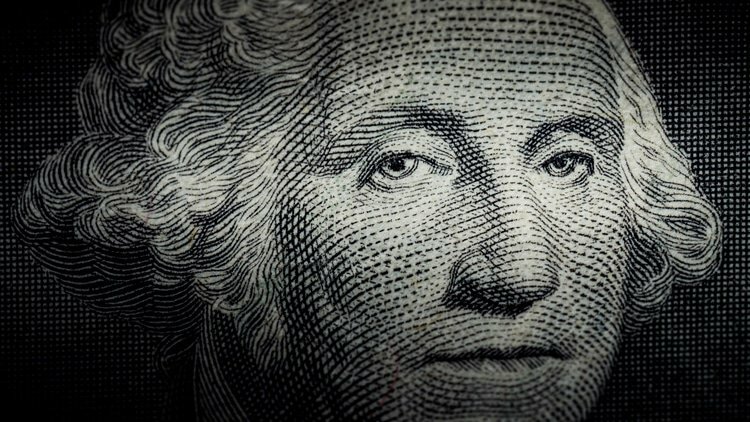 It would be ironic if one of President Trump’s lasting legacies will have been to mark the beginning of the end of the role of the dollar as the world’s reserve currency. This, however, will be of little consolation to companies trying to navigate these risks today, many of whom have taken the current “goldilocks” scenario in the US of low unemployment and high growth as a signal to focus on, and factor in, lesser risks elsewhere, potentially leaving them with less resilience to act in the face of the coming storm. Hoffer was assisted in the preparation of this piece by Rebecca Bachmann, Spire Strategy’s chief strategy and technology officer.